Relaxing! When Kendall Jenner&apos;s not striking a pose, jetting around the world, hanging with famous friends or spending time with her equally famous family, she&apos;s getting some much-needed rest. Jenner&apos;s relaxation routine begins with her nose — well, her sense of smell. "When I know I need a &apos;me&apos; day, I&apos;ll take a long, hot bath with my favorite Byredo candle burning," the Keeping Up With the Kardashians star, 20, explained on her website. But that candle isn&apos;t just any old wick and wax combination. It&apos;s an $80, handmade-in-France fragrance that rests in a mouth-blown black glass holder. 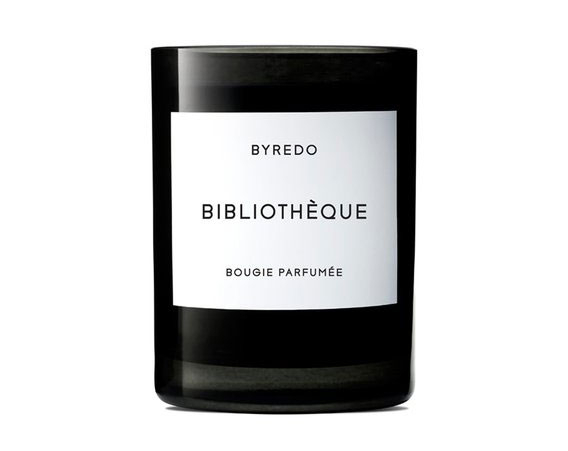 Though Byredo makes other scents, the Estée Lauder brand ambassador&apos;s favorite is "Bibliothèque" (French for library, naturally), and it smells like old books and dried flowers. Jenner continued, "It&apos;s so important to indulge myself every once in a while to make sure my body feels good … When [I] really feel beat, I&apos;ll have a massage therapist come to my house and give me a really amazing treatment." The Vogue cover girl does go to the spa sometimes, and when she&apos;s there she&apos;s fond of one room in particular. "My favorite thing is to sit in the steam room," she noted. Jenner&apos;s other "me day" musts? Pottery Barn&apos;s Spa Robe ($119, potterybarn.com), Estée Edit Stress Relief Eye Mask ($42, sephora.com), and Kusmi Detox Green Tea ($17, amazon.com).